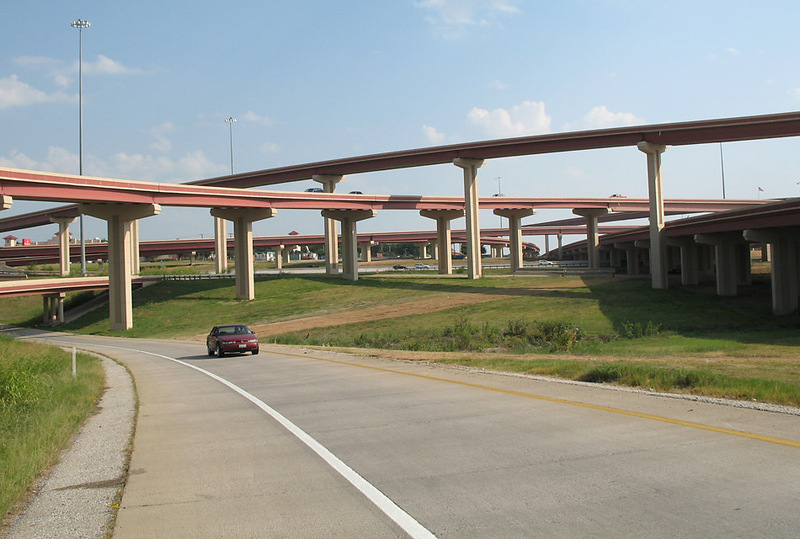 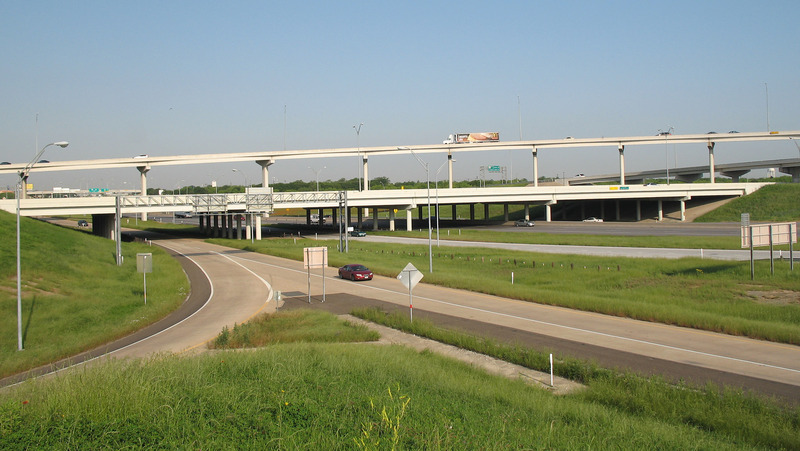 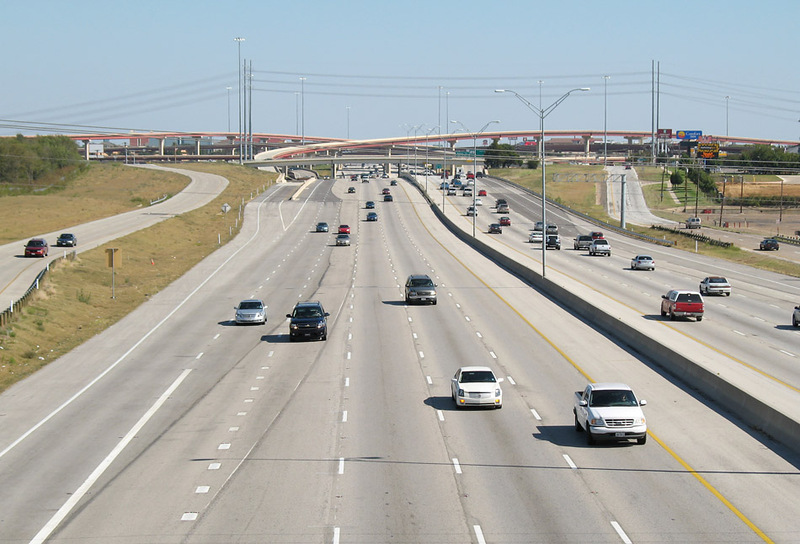 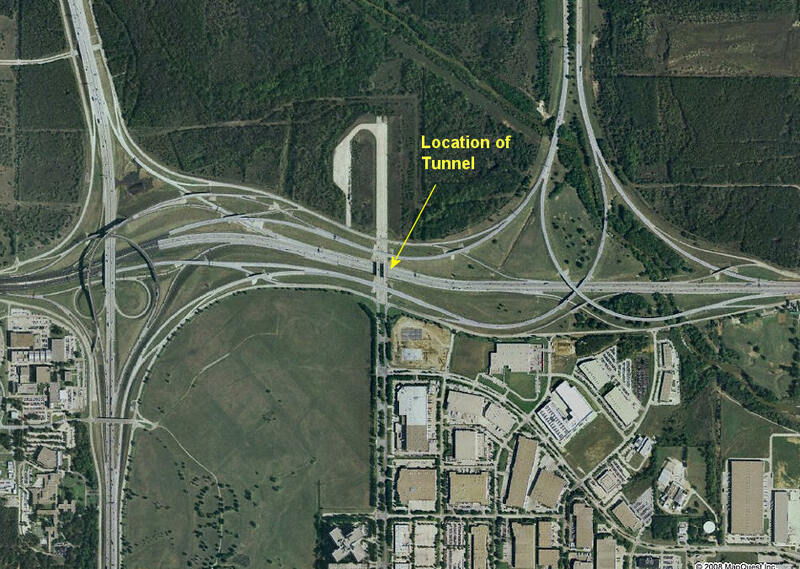 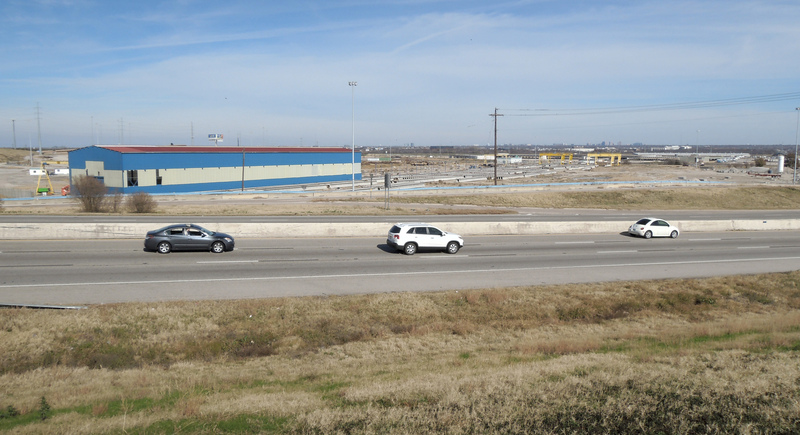 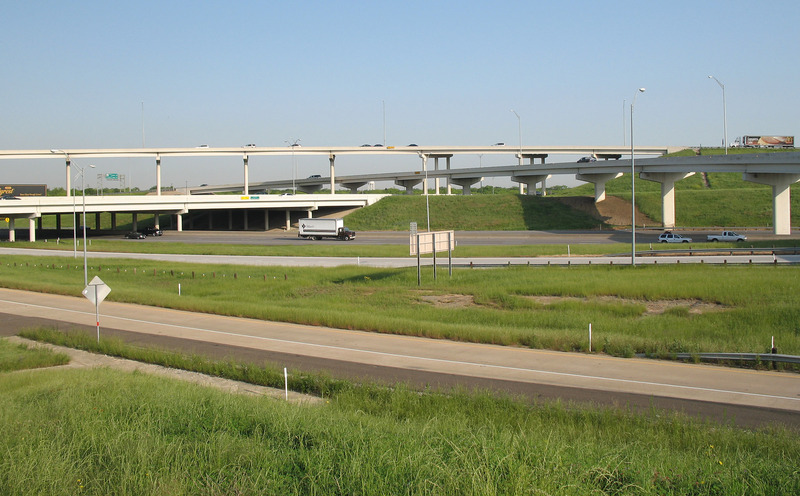 The SH 183 corridor through Irving was reconstructed and expanded in a major project from 2015 to 2018. 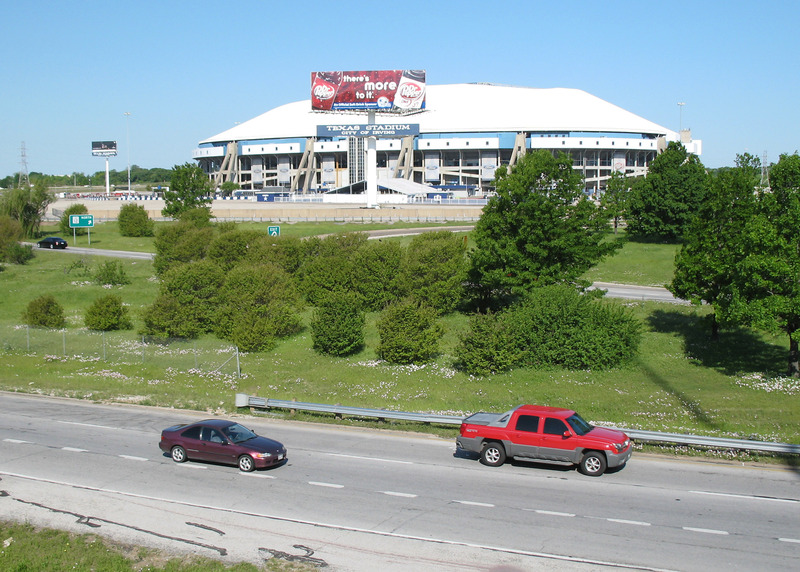 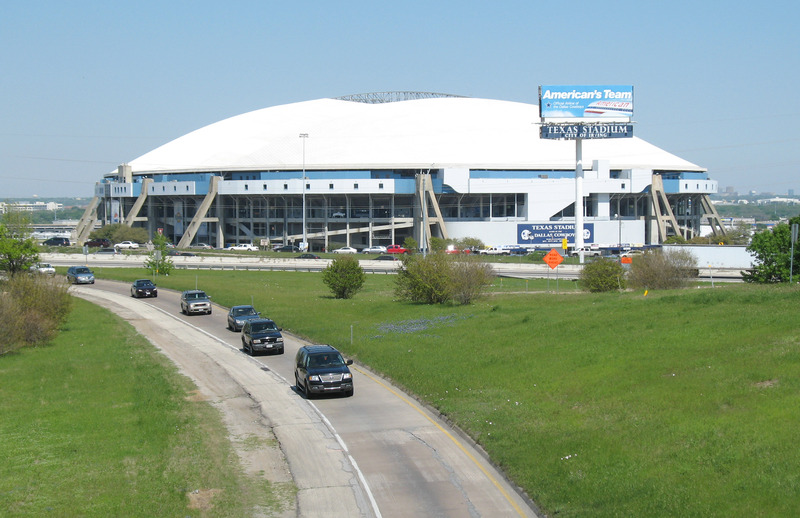 Texas Stadium was demolished by implosion in April 2010. 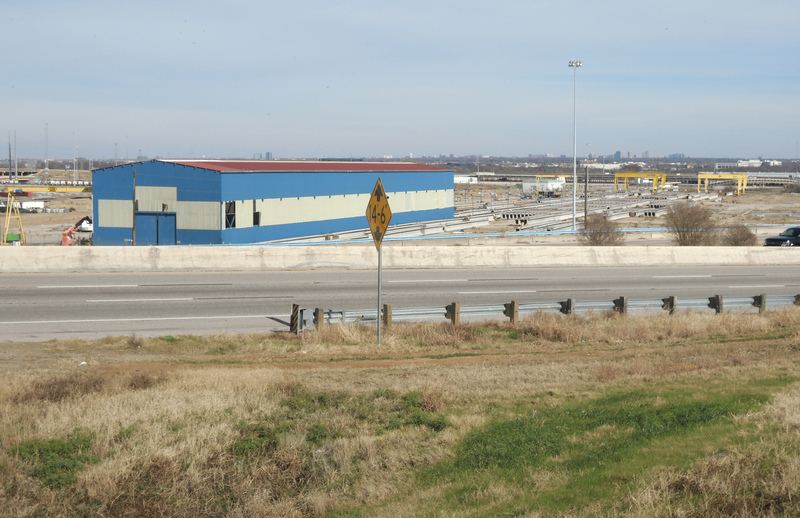 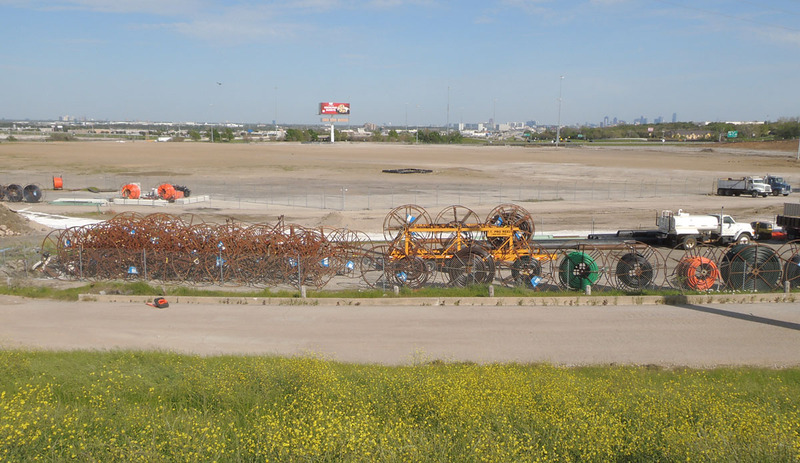 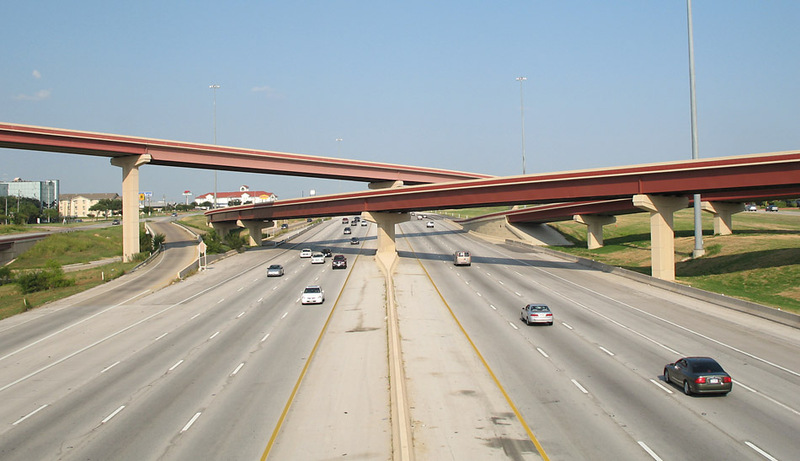 After the stadium implosion, the stadium site was used by TxDOT as a construction staging area, and as a facility for making prefabricated bridge beams. 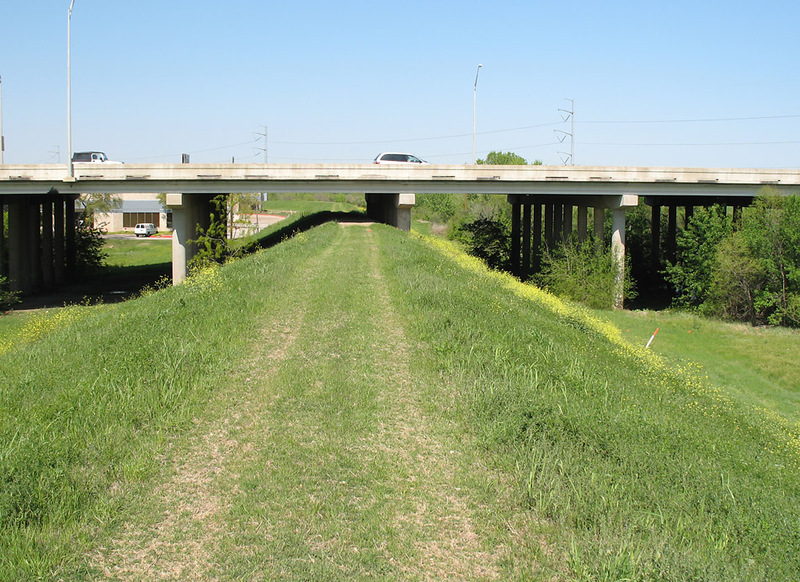 2018 Photo status: Obsolete New bridges were built, completed in 2018. 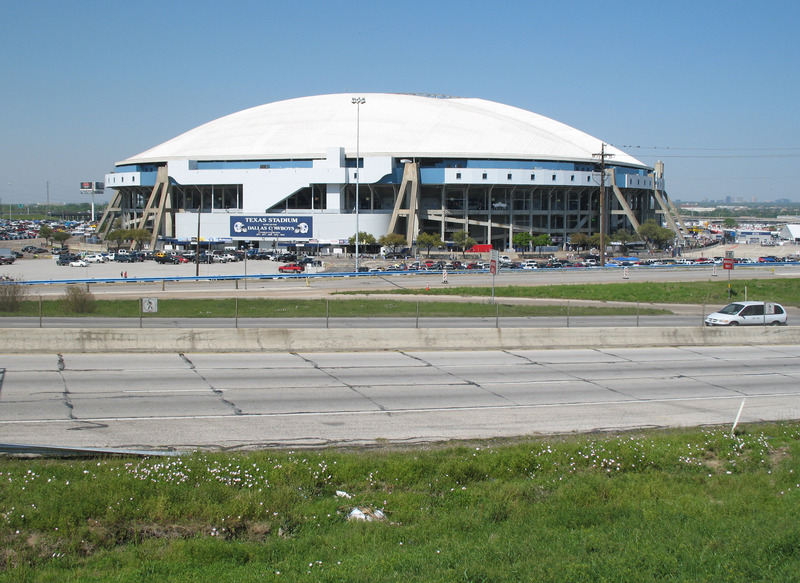 2015 Photo status: Obsolete Texas Stadium was imploded in 2010. 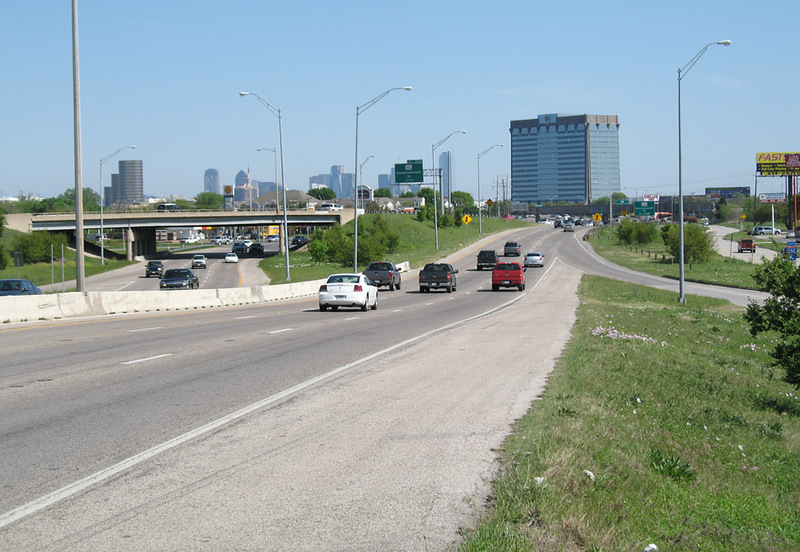 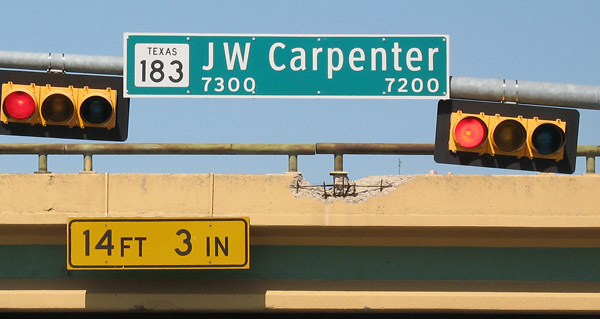 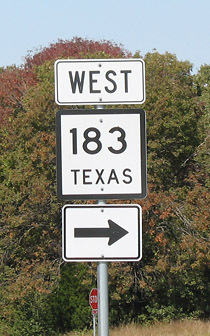 SH 183 adjacent to the stadium was rebuilt and expanded 2015-2018. 2018 Photo status: Obsolete Texas Stadium was imploded in 2010. This ramp was replaced by the new interchange, completed in 2018. 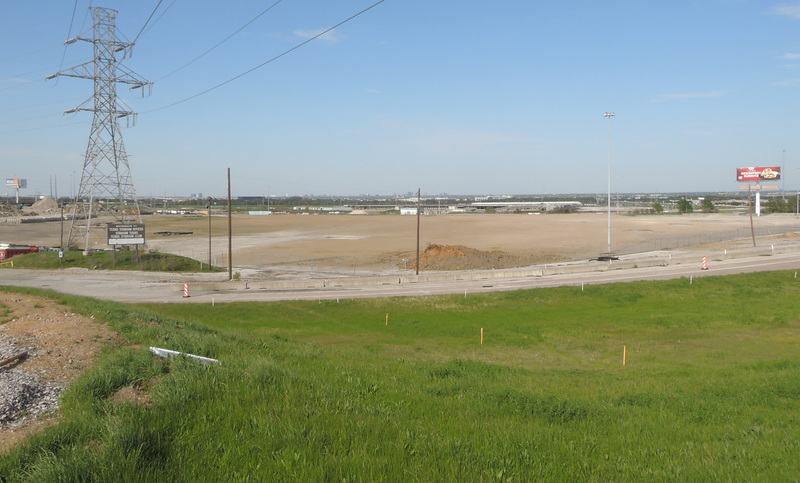 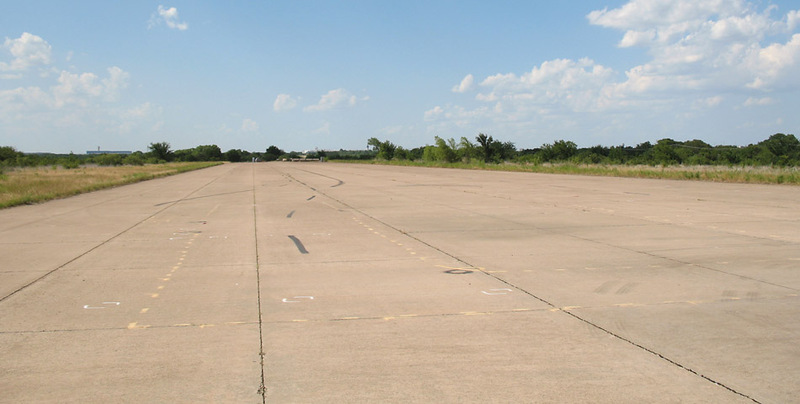 2018 Photo status: Obsolete The fabrication yard and buildings were removed by early 2016. 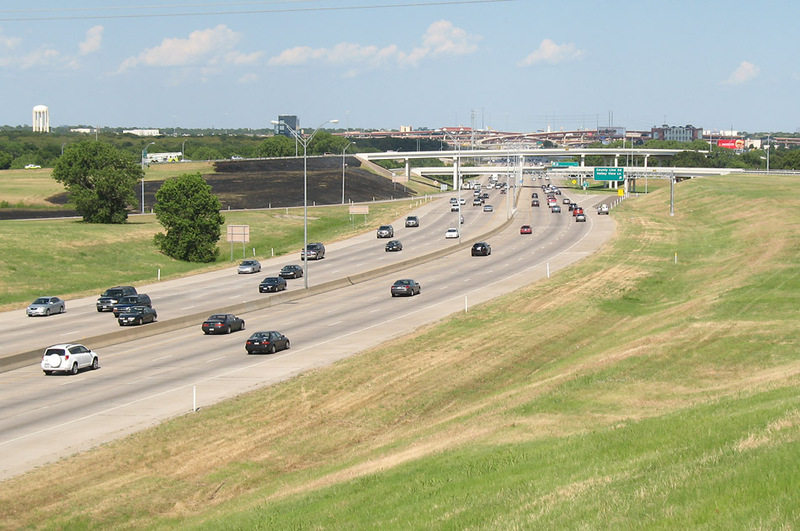 2018 Photo status: Modified One managed lane in each direction was added in 2018 in the center of the freeway.